Parkinson’s disease is a brain disorder that leads to a gradual loss of muscle control. Parkinson’s disease mostly affects older people; however in some rarer cases it can also affect younger adults. 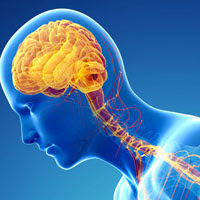 Parkinson’s disease usually begins between the age of 50 and 65. Men are more at risk compared to women. Parkinson’s disease is brought about due to the gradual degeneration of nerve cells in the portion of the brain that controls your body movements. This portion of the brain is called basal ganglia. In the basal ganglia there are cells which require a proper balance of two substances; dopamine and acetylcholine. Both these substances help in the transmission of nerve impulses. What happens in Parkinson’s disease is that the cells producing dopamine begin to degenerate throwing off the balance of these two neurotransmitters. The exact reason why this degeneration begins is not known but researchers have linked its onset mainly to genetics. However in very rare cases Parkinson’s disease may be triggered by a viral infection or due to exposure to environmental toxins such as pesticides. We shall go into more detail of the two common symptoms, tremors and bradykinesia. A tremor is an early symptom for 70% of people affected with Parkinson’s. It usually starts in a finger or hand. The tremor is noticeable when the hand is usually at rest. In Parkinson’s the tremor will lead to your hand or finer shaking rhythmically, usually four to six beats per second. Another very common symptom is known as “Bradykinesia”. Bradykinesia refers to the slowing down of movement. As people age, body movement does tend to get slow however in Parkinson’s the body movement gets so slow that it beings to impair daily life. When people have Parkinson’s they will find that when they want to move, their body will not respond immediately or even freeze. Some people are reduced to a shuffling walk or have a mask life face due to delayed muscle response. Tap your finger and thumb together or tap your foot to check for slowed movement. Parkinson’s does have an impact on the way we conduct our daily life. However, with medication and changes to life, one can still remain active. Medication helps to cope with mood disorders that come up with Parkinson’s. To get help in managing your day to day activities you can get an occupational therapist or a full time medical care-giver that can help you in your home around the clock.